Although his official post has been Minister of Information, Ali Abdu has been actively involved in leading PFDJ’s foreign intelligence activities, which includes providing support to Somalia’s Ashabab and Ethiopia’s opposition forces in the Diaspora. Hence, the danger for the dictatorial PFDJ regime won’t be losing its Minister of information; its inability to secure the highly classified, secret information that are already in Ali Abu’s hands will rather be lethal. During the liberation struggle era, Ali Abdu was radio operator of Isaias Afewerki, current president of Eritrea. 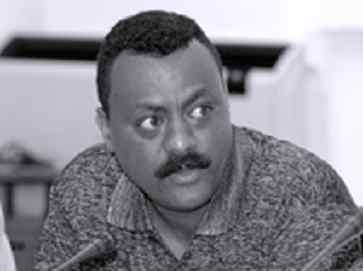 Soon after Eritrea’s independence, he had been deputy chairman of PFDJ’s satellite youth organisation, until he was promoted to become Minister of Information of Eritrea.As Ali Abdu has been the face of the dictatorial PFDJ government in recent years; his departure will be a heavy blow to the regime and will bring the serious cracks within it into the surface. Minister Ali Abdu’s wife had sought asylum in Canada several years earlier.